Streamline your volunteer scheduling process. VolunteerHub makes volunteer scheduling a breeze. Spend less time on administrative tasks and more time focusing on your mission. Frustrated with the mountains of files and administrative work associated with scheduling volunteers for events? If your nonprofit is like most, maintaining accurate volunteer scheduling can be quite a challenging task. Using spreadsheets and handwritten notes to organize volunteers is not only inefficient, it is likely costing your organization money through reduced productivity and communication issues. 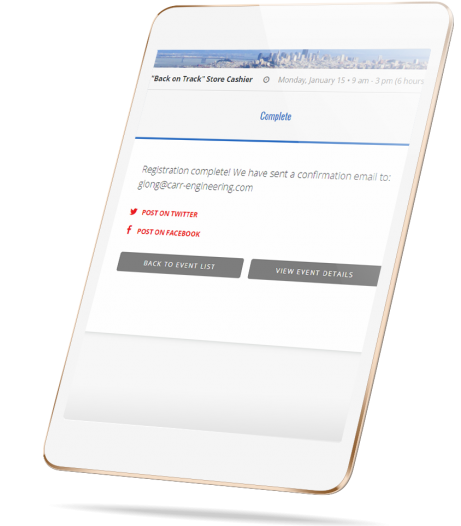 Our built-in online volunteer scheduling software will turn your existing website into an automated registration machine. 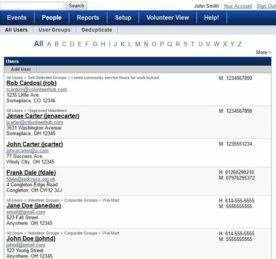 By adding this simple, but effective tool to your organization’s site, prospective participants can self-manage their account. This allows you to focus on more important issues, such as fundraising and achieving corporate goals. Who Knew Volunteer Scheduling Online Could Be So Easy? 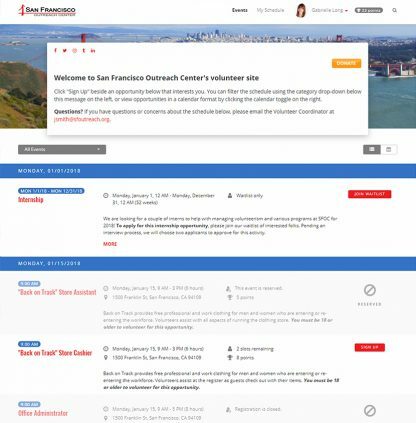 VolunteerHub streamlines formerly manual processes. Creating new events is so simple, virtually anyone on your staff that can use a computer can help. In addition, we offer a fully customizable interface, which allows your organization to set industry-specific fields for your upcoming opportunities. The flexibility offered by VolunteerHub makes it possible for a wide variety of industries to streamline scheduling practices. 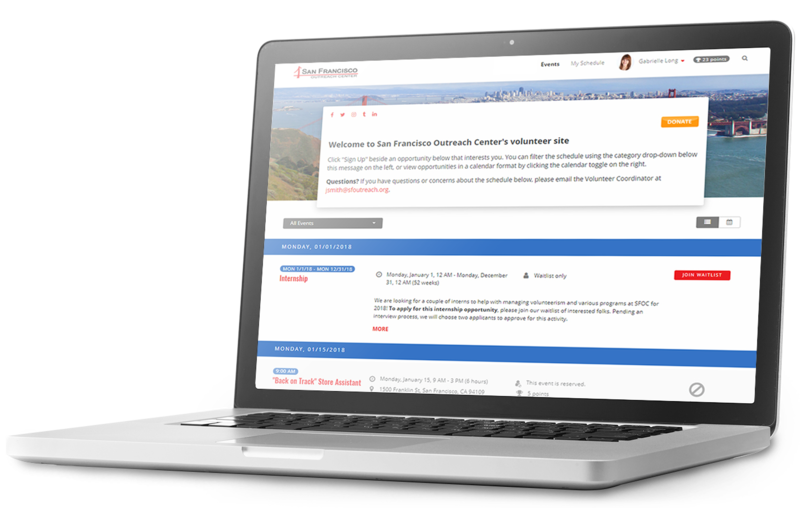 Nonprofits of all types appreciate VolunteerHub’s simple user experience.